It's time to stop writing out your address, and stamping it with a MaxLight Stamp from Getstamps.com! 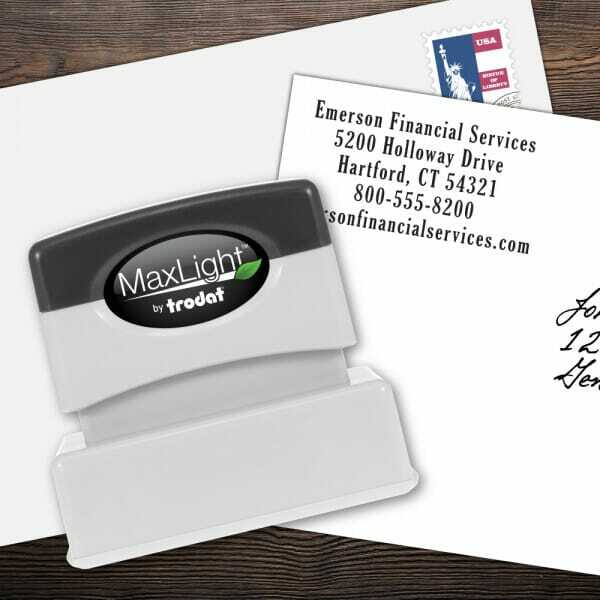 Our Custom 5 Line MaxLight Name and Address Stamp features a compact textplate size of 1-1/8" x 2-1/8" allowing enough space for a standard 3 line Name and Address impression plus 2 extra lines for email or phone number. Customer evaluation "Custom 5 Line MaxLight Name and Address Stamp"
Very good product in a quick turnaround and nice to do business with.